Flavor Paper for Arte is a collection of audacious wallpapers — to say the least. It's the result of a collaboration between two remarkable companies. First there's Flavor Paper: an American company from the creative heart of Brooklyn, New York that thrives on extravagant designs and a bold attitude. They are known in the scene for exclusive designer wallpapers made by hand. Then there's our company, Arte, a European designer and manufacturer of high-end wallcoverings based in Belgium. We have a solid reputation in the field of quality, technical expertise, service and innovation. When Flavor Paper popped up on our radar, we were quite impressed with these special, unique designs. This was really something the entire world should see. We reached out and asked if we could work with a selection of Flavor Paper's large scale of unique products, with the intention to create a rotary screen print version. We came to an agreement with Flavor Paper, and the synergy between our two companies led to this exclusive collection. It is the perfect addition to our range of exclusive wallcoverings. 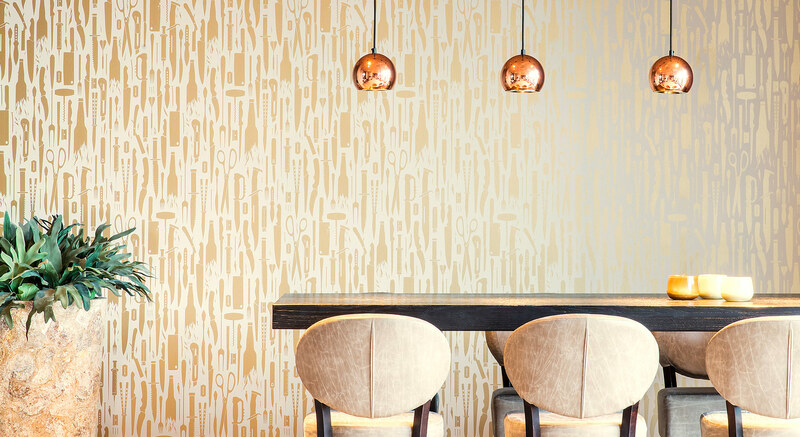 If you are looking for an extravagant wallpaper that never gets boring, Flavor Paper for Arte is the way to go.